IT’S ALL ABOUT THE FRESHEST SEED! Deer hunting today has gone in an all together different direction. Years ago most hunters hunted for food, but today the hunt leans toward recreation. Don’t get me wrong, I love to eat venison just as much as the next guy but I would rather pass on small bucks and harvest a doe. Every individual is different and it is the personal preference of the hunter. Owning a beef cattle operation has helped me develop a better understanding of herd health, genetics and the growth of animals. For cattle to grow and be healthy they need protein, minerals and vitamins. Deer thrive on the same minerals, vitamins and proteins necessary for endurance. Food Plots are huge in feeding and patterning game. When a deer has a good source of water and food, it’s not necessary for them to travel far. I harvest alfalfa and corn on my farm and they continue to gravitate towards the food plots. Deer and birds like variety no different than us. If we had to live on the same food day after day your palate would crave adventurous flavor. • If you are going to put in a food plot, the rule of thumb ! You get out of it what you put into it! 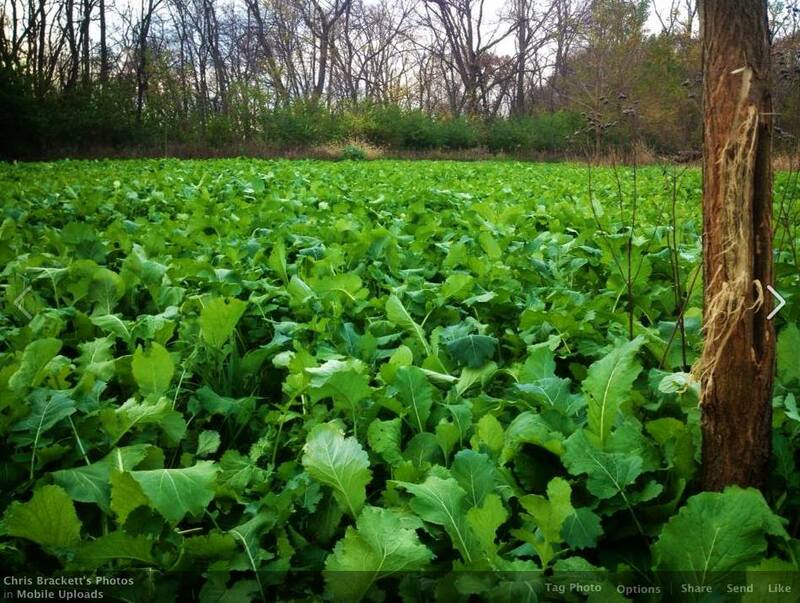 May your food plots be green, plentiful and your hunt successful & safe.